In between the striking mountain landscape of the Eisenerz Alps you will find the old town of Eisenerz. In the past it was mainly known for its mining industry, but nowadays it is a popular tourist destination that has preserved many historical elements. The old miners homes have been replaced with a high-end and modern resort with charming apartments. Part of this resort is the huge group acommodation, which is ideal for groups of families or friends. This beautiful accommodation is for twenty people, but on request and for an additional fee it can house up to 27 people. There is 270m2 at your disposal, which includes a spacious living room with open-plan kitchen, a dining room and multiple multi-functional rooms on the ground floor. There is also a modern wellness area with a Finish panoramic sauna for relaxation. On the first floor you have access to a grand total of eight bedrooms and four bathrooms. The resort has sufficient parking available and for the kids there is a well-equipped playground. As an additional service, at a fee, fresh bread rolls can be ordered or you can use the sports hall. 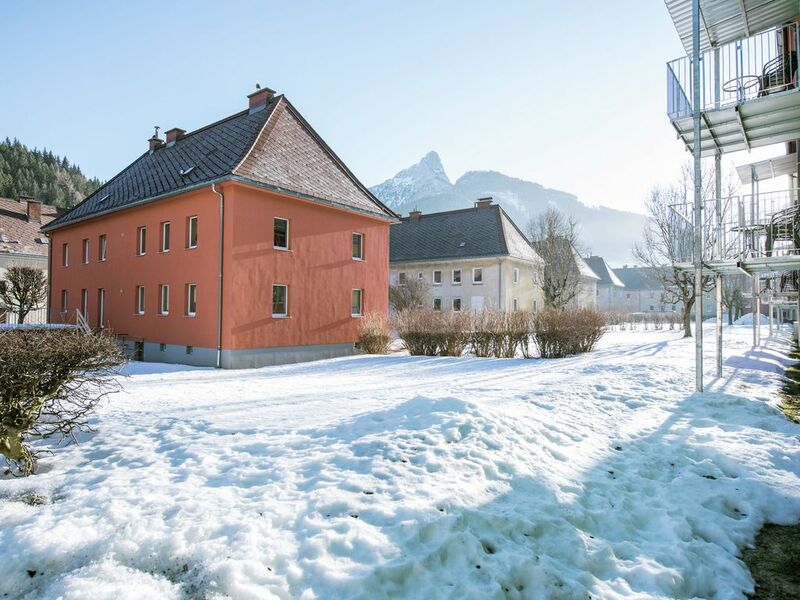 In the immediate vicinity there are beautiful lakes, a great swimming pool, expansive walking options and the impressive mountainous surroundings. During winter you can be in the charming skiing area Präbichl (11.5 km) in minutes, there are also plenty of cross-country skiing facilities. Das Ferienhaus ist super. Die Landschaft ein Traum. Skigebiet und Einkaufsmöglichkeiten sind sehr nah. Rezeption und Frühstückempfang sehr freundlich. Die Ankunft am Sa 17.03.2018 hätte etwas besser beschrieben werden können.